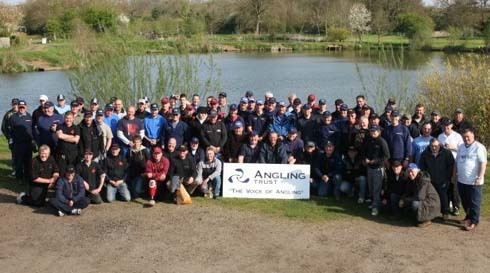 Team Fox Match led by Derek Willan took the honours in the Angling Trust benefit match, hosted at Barford Lakes on Saturday 18th April. This team event saw 84 anglers compete for generous tackle prizes donated by some of the top tackle companies, who each sponsored a team. The match attracted some of the top names in the sport who fronted their tackle company’s team. 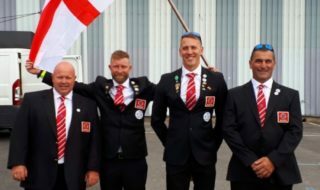 It also brought MP Martin Salter (Labour’s Parliamentary spokesman for Angling, fishing for Team OnlineFishing.tv) and Mark Lloyd (Chief Executive of the Angling Trust) to the banks as they competed alongside anglers from all over the country. 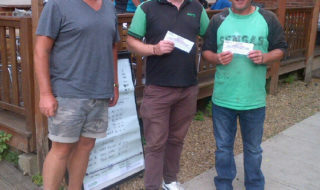 www.barfordlakes.com sponsored the peg fees for the match and anglers entered by paying £20 to join the Angling Trust. Through kind sponsorship from the trade, each team member had team goodies to take home with many teams sporting their own team fleeces and caps. The event saw the Trust gain over 80 new members. The winning team members received a set of luggage each, the winning individual took home a Fox Match MSB box worth £450 and there were many other tackle prizes for individuals and team placings. Sarah Thomson from Barford Lakes said “I believe that if the Angling Trust is given the resources it will, through grass roots development and competitions, be able to lower the average age of my match angling customer. 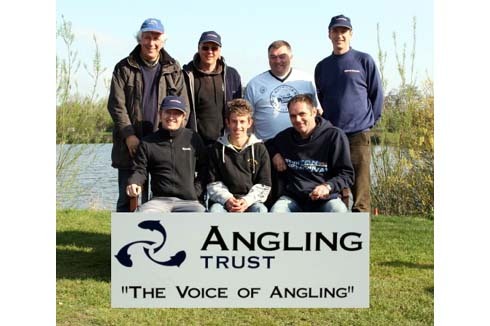 2009 will be a crucial year for the Trust and every angler needs to be encouraged to join in order to develop and protect our sport for years to come. “We were happy to organise the event in celebration of what will be a new era for match fishing. The generosity of the tackle firms and the high profile anglers who attended just goes to show we are all ready to support a more positive way forward for match fishing”. Mike Robinson MAP Product Manager, who donated each of his team a cap and Polo shirt and also donated 2 sets of luggage for prizes and ensured the best angler in his team went home with a pellet waggler rod and reel, commented: “I think the idea of organising a match to raise awareness of the Angling Trust and drive membership is a brilliant idea. 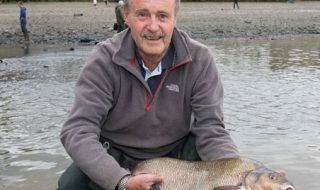 “More anglers should be made aware of what the Angling Trust can do for Angling, and everyone should join to protect the future of their sport. At last there is a single organisation that represents all types of fishing. Not only will the Trust take action against the problems that affect our sport, but it will also develop the sport from the grass roots. The Trust is a new future for the sport and will help develop programmes with clubs to increase participation within the sport – which can only be a positive thing for the future of Angling”. Individual membership for the Trust is £20. The event was sponsored generously by the following company’s; Browning/Zebco, Daiwa, Dynamite Baits, Fox Match, Garbolino, MAP, Maver, Pure Fishing, www.onlinefishing.tv, Sensas, Shimano, Spro, Total Coarse Fishing Magazine, Ultima, Mosella, Mick Wilkinson, Kevin Leech, Tri Cast and Middy.